1. Clean off the planter bottom. Measure a circle in the cork that will fit on the bottom of the inside of it. You are also going to eventually put cork on the bottom of the coaster, so you may want to cut out two circles while you’re at it. 2. 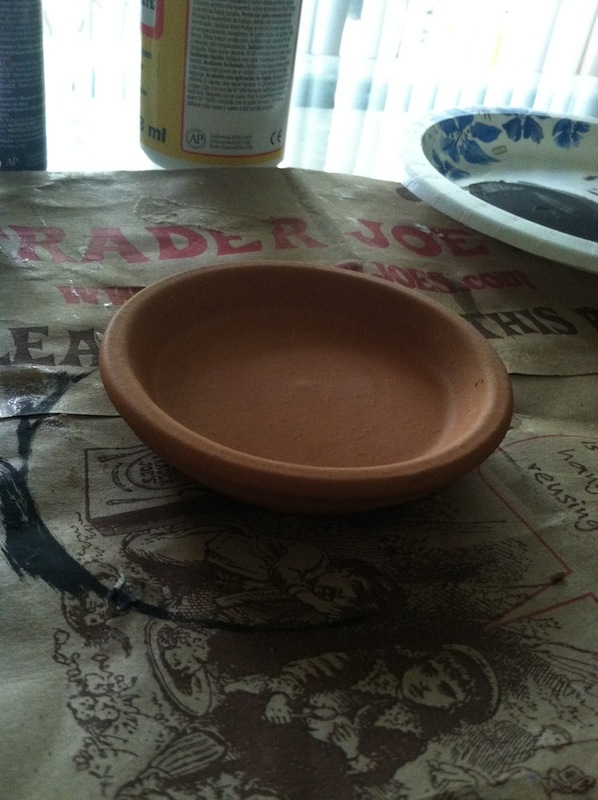 Cut out the circle of cork and glue it to the bottom on of the inside of the planter bottom using Mod Podge. 3. Paint the planter bottom and cork black (or the color of your choice). 4. After the paint has dried, apply another coat of Mod Podge to the top of the now painted cork that’s located inside of the middle of the planter bottom. 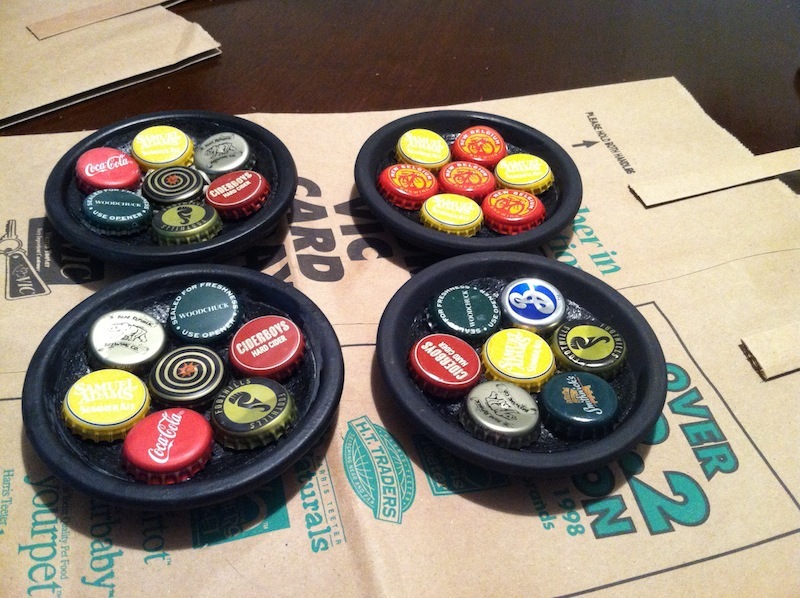 Before it has dried, stick your bottle caps on in the arrangement that you’d like them to go in. 5. Let the bottle caps sit for a while so they can fully dry. I recommend leaving them overnight. 6. 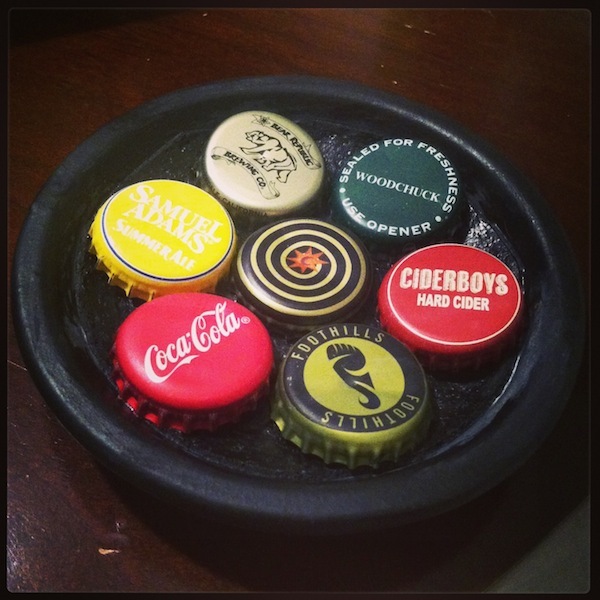 Once everything else is glued on, stick the cork to the bottom of the coaster. 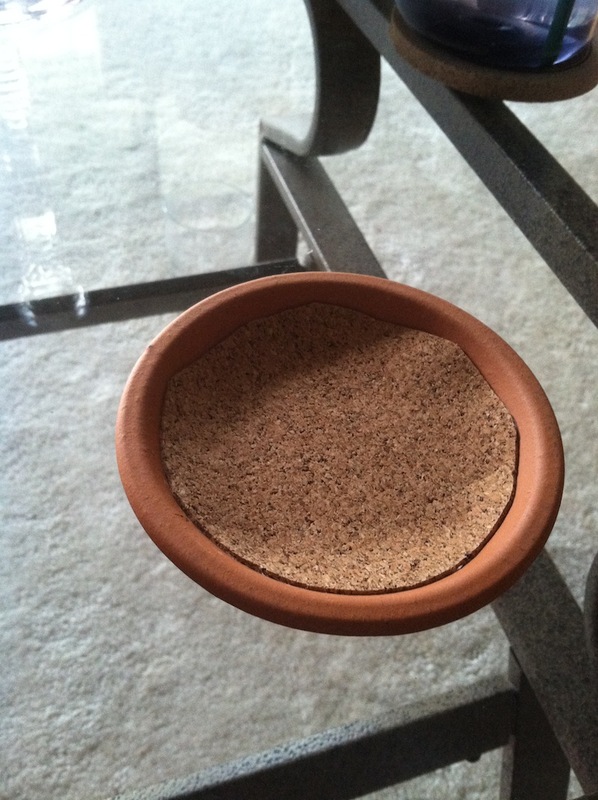 The cork actually peels to stick, but I only used it that way on the bottom of these coasters. 7. Spray down with a glossy finishing (acrylic based). I originally used a matte finish, but didn’t love it. I recommend switch to a glossy finish. Right now, two of my new coasters have the matte finishing and two have nothing. 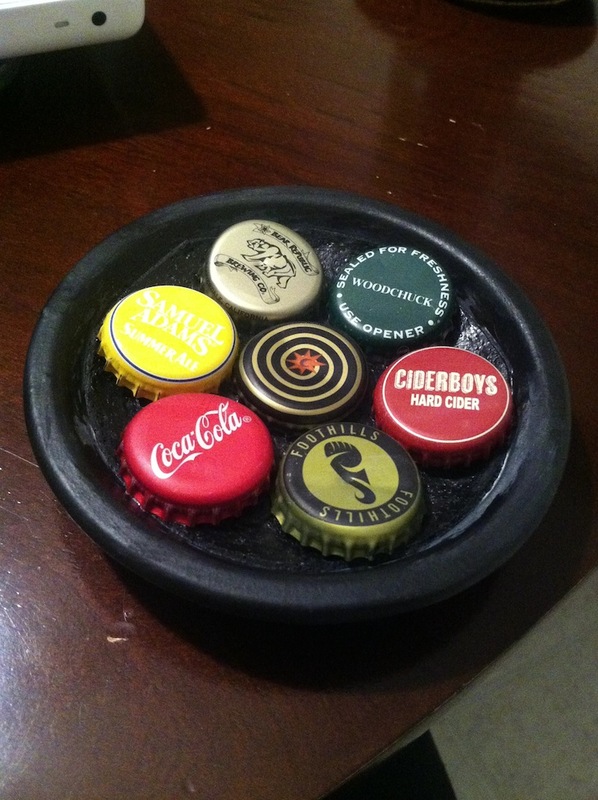 I like the way the ones without anything look, but feel that the glossy look will preserve appearance and protect the bottle caps from rusting in the future. 8. Let the finishing coat drive at least overnight if not for 24 hours. Mine smelled awful until it was dry, but after a good 12 hours passed, I couldn’t smell it at all. I left it for 24 hours to ensure it was completely dry.